Dealing with soaked carpet? Or a basement flood in Orange, California? You need a professional flood company to prevent more extensive destruction. There’s a brief 24 to 48 hour window to complete initial flood restoration tasks before you need mold remediation and deterioration sets in and causes permanent harm. Flood services remove deep-down moisture in a matter of days rather than the weeks natural ventilation takes. 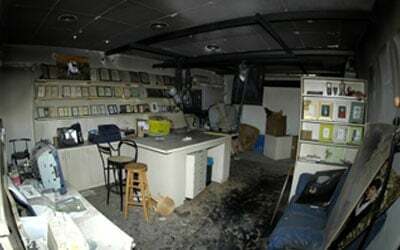 Expert water damage restoration also recovers as many of your belongings as possible. Are you facing the unsettling aftermath of a fire? You need more than a general contractor. You need fire damage restoration experts to deal with char, toxic and corrosive smoke, and more. Smoke and soot must be properly and thoroughly removed immediately before in penetrates deeply into otherwise unharmed building materials and possessions. We have the fastest response around, and can be at your Orange home or business within the hour for an assessment by a certified inspector. Family owned and operated we’re a fully licensed and insured general contractor with specialists in flood restoration, mold removal, water damage repairs, fire repairs, structural dry out, and smoke and odor removal. Those experts are experienced, well trained, and certified by the IICRC and CRA. They have the latest in equipment at their disposal, including powerful water extraction gear, refrigerant dehumidifiers, powerful air movers, HEPA air-scrubbers, dry-ice blasting equipment, and eco-friendly ozone generators. Over the years we’ve build good working relationships with Orange’s leading insurance companies and know exactly what they expect in detailed estimates, loss inventories, and billing. We also know what they require in mitigation efforts to qualify for coverage of any secondary losses. We’ll work directly with your insurer for a hassle-free claims processing, saving you headaches, delays, and frustration. You won’t need to make any up-front payments as we’ll bill your insurance company directly. We know you’re going through a difficult time with so much to deal with. We’re a single company that can take care of all of your recovery needs for residential and commercial buildings, as well as their contents. Our skilled construction crew, certified technicians, and experienced staff all work together to deliver the best in customer services. We’ll get everything back to pre-loss condition and your life back on track as quickly as possible. 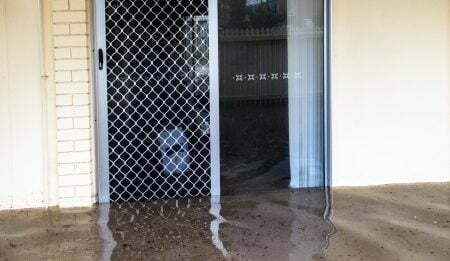 Flood services go well beyond water removal. Even without a sewage backup or toilet overflow water from any source becomes infested with bacteria, parasites, viruses, and fungi after about 24 hours. So as a full-service flood company we employ disinfection and sanitation experts as well as experienced debris clean up and repair crews. 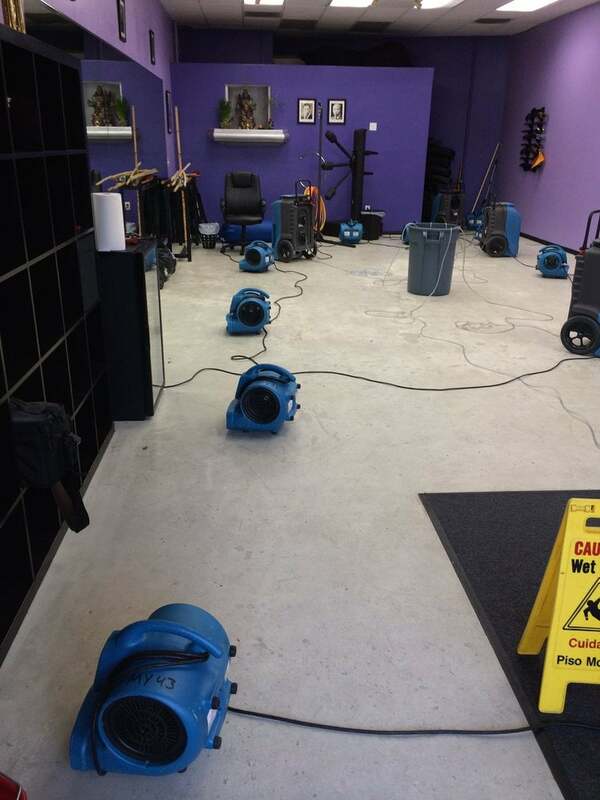 And we have all the specialized equipment a water damage contractor needs. Our truck-mounted pumps can tackle any basement flood, and our powerful water extraction gear pulls out remaining liquid from carpets and other wet surfaces; up to twice as much as ordinary methods. We’ll then put our full line of structural dry out equipment to work to quickly remove every last bit of excess moisture no matter how deeply within building materials it may be lurking. Our flood restoration services also treat furniture and other belongings, either on site or at our facility. Mold remediation should only be handled by licensed professionals such as our certified technicians. That’s because many species release toxins that can lead to extremely serious health issues as well as the ease at which it spreads when disturbed. 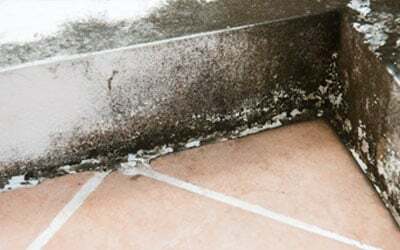 Our mold removal experts will isolate the area and run HEPA air filters, perform thorough removal, and further guard against regrowth by applying non-toxic mildicide. Finally they’ll neutralize odors throughout the building. Complete fire damage restoration requires a host of services that few single companies can provide. We can take care of everything — securing the building, debris cleanup, demolition and reconstruction, water damage restoration, mold abatement, and final haul-away and disposal. Smoke and odor removal are especially important, as if not done promptly and properly you’ll loose more of your possessions and be stuck with long-lasting odors. Our technicians are ready with highly specific cleansers and procedures as well as dry ice blasting equipment and odor-neutralizing ozone generators. We love the historic buildings in Orange’s Old Town District, and old plumbing puts many at risk of flooding. So have your plumbing inspected and upgraded as necessary. And make sure your insurance policy covers flood services and water damage repair. That goes for all of the City of Orange CA as well. If you would like to become fully prepared to help your family and others in an emergency you can sign up for Community Emergency Response Team (CERT) training through city of Orange. You’ll learn about fire safety, first aid, search and rescue, and more.